In business, your image and the way you’re presented to the public are paramount to positive branding. Your brand and how it’s perceived by the public can make the difference in whether your business is successful (or not so successful). That’s why keeping your display set up to date is so important. Having a sleek and shiny display that represents your company the way it should be, and attracts potential new customers will help keep you ahead of the competition. The display industry is ever changing to keep up with the demands of businesses display needs. Displays have seen many changes over the years from the incorporation of multimedia compatibility, more efficient lighting systems and inflatables. 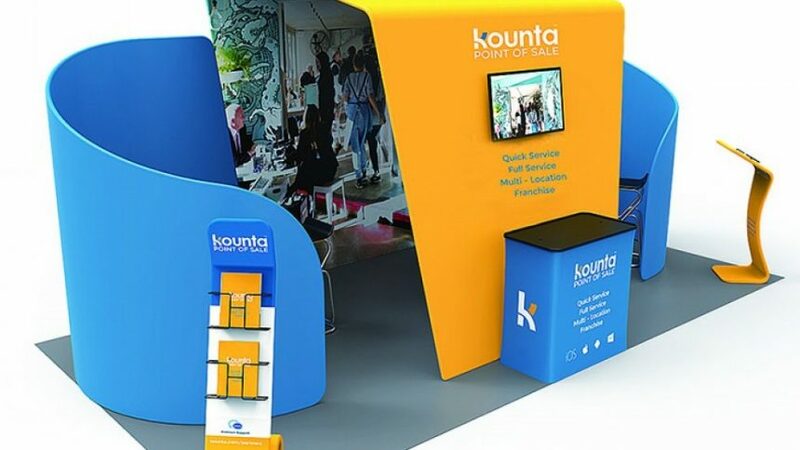 The modern display industry is huge as every business wants to put their best foot forward and display their brand in an informative and stylish manner. So, if your display is looking a bit old or tattered it may be time to give your display an update. It’s important to keep your display set up to date so when it comes time to shine, your business is being represented as bright as possible. Like all industries, technology is being integrated within this area and plays a major role in creating dynamic and engaging exhibition displays. There are a number of products on the market that incorporate the use of multimedia, while showcasing sleek branding of your business. Keeping up with the latest display products will give you the edge and attention when you showcase at the next event. When is the last night you upgraded your display set? Times move fast and move even faster in the business world. Same goes when it comes to promoting your business. If your display set is over 3 years old, then you’re probably a bit behind the eight ball and should look into upgrading to a newer more multimedia focused display set. This one is a bit of a no brainer, but you would be surprised the amount of businesses that have changed their branding and haven’t updated their display kit. Your branding should be uniform throughout the entire business and that includes your display set. In order for people to relate to your brand they need a sense of familiarity and that is why its paramount to maintain consistency in products and public perception. If you’re not taking advantage of the using multimedia in your display, it’s definitely time to upgrade. Multimedia counters are a great way of interacting with your customers and making your brand display a sensory event. They are simply a podium designed to hold your media while boldly displaying your brand with banners printed in high resolution. They are sleek, modern and easy to set up and pack down. They are a great addition to your display set will serve the purpose of engaging the customer and making the activation an interactive experience. Always check the condition of your display, especially if you use it outdoors. General wear and tear and damage from the weather can take a toll on your display and make it look worn and tatty. If your display set is looking worn, it’s time to update. Make your display to be larger than life. There is numerous 3D display stand options that will help you stand out from the crowd. They are great on their own or can be paired with other items in your display set. Get creative and use them in conjunction with some LED lights, screens, and portable multimedia tables to wow your potential customers and bring them in by the droves. A dynamic LED media display is a combination of printed graphics, LED screens and motion programming. These top of the line displays will attract potential new customers to your booth and increase sales. They are ideal for when you really want to stand out from the crowd and make some noise. All eyes will be on your display as your brand name dances around on the larger than life LED screens. The visual effects paired with printed graphics will attract and hold the attention of passers-by giving you the exposure necessary for success. Common sense should tell when it’s time to update your display set. If it looks old and tatty, it obvious that it’s time to get some new stuff unless you want your brand to come across that way. And simply if it’s not working, if you’re not getting the exposure that your brand deserves, it’s time to rethink your display strategy and shell out and purchase a display set that will. Hopefully, this post has given you some idea to what’s available and will help your business thrive.